Home / HR Director’s Hub / Survey: Which Skills are Most Important for Being Hired? Survey: Which Skills are Most Important for Being Hired? According to Monica Herk, Vice President for Education Research at CED the “skills gap” is real as evidenced in business reports and business organizations, highlighting key competencies that are important across a wide range of jobs and the promise of competency-based education and hiring to address the skills gap as well as the challenges of burgeoning college price tags and student loan debt. The Conference Board’s own Gad Levanon has predicted coming labor shortages, while others question whether the “skills gap” is really just employers’ unwillingness to pay wages high enough to hire the workers with the skills they want. One big question is just what those essential competencies are. Is it a short list of 5 to 10 general skills? Or is it a longer list of very specific “technical” skills, each tied to a relatively small number of jobs – like the ability to program in Python or to operate metal fabricating machinery? CED recently surveyed our membership to explore which skills and knowledge were most important to being hired by their organizations and which skill sets were hardest to hire for. Which Skills are Most Important for Being Hired? For a variety of competencies, we asked our Members how important the applicant’s knowledge and skills in that area were when their organization was deciding whether to hire the applicant. Possible responses ranged from “Essential” (“Applicant is unlikely to be hired at my organization without a high level of skill or knowledge in this area.”) through “Very important” (“Skills or knowledge in this area are not absolutely required but strongly increase the likelihood of being hired.”), to “Important for some but not all positions,” and “Not important/not relevant”. This question aimed to get at the key skills that apply to most jobs. For those of us with children, these are the skills that you want to make sure your child develops – and the skills you should lose sleep over if they don’t. 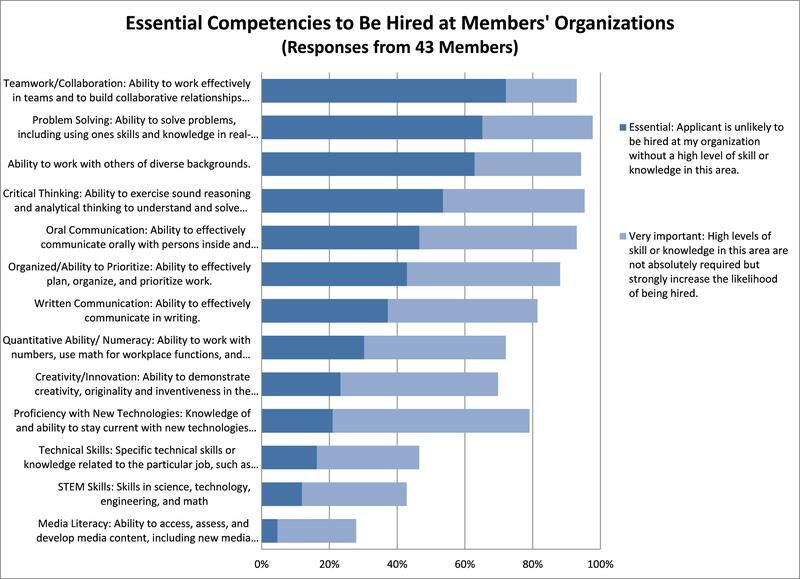 Chart 1 shows these “must have” skills rank-ordered by the percentage of CED Members who called the competency “essential” to being hired at their organization. However, we were interested not just in which competencies were essential on the job, but also which ones our Members’ organizations had trouble hiring for. After all, something can be essential – like oxygen – but if it’s easily obtained at low cost, we don’t worry about it. Which Skills are in Shortest Supply? 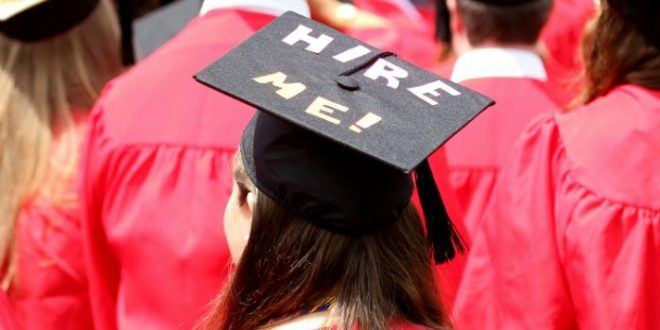 Being aware of the debate over where the “gap” in the “skills gap” really lies – i.e., is it a gap between applicants’ skills and the skills required, or is it a gap between the wages workers demand and the wages employers are willing to pay for those skills? – we took care to word our question in terms of the number of job applicants with sufficient skills and knowledge in each competency. For each skill that our Members had rated “Essential” or “Very important” for being hired at their organization, we asked them whether “almost all” applicants had sufficient skills and knowledge in this area to be hired by their organization (“Large surplus of applicants”), whether “many” applicants had sufficient skills in this area (“Moderate surplus”). 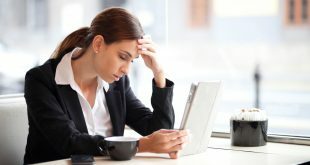 At the other end of the spectrum, Members could respond that “few” job applicants (corresponding to “Moderate shortage”) or “very few” applicants (corresponding to a “Large shortage”) had sufficient skills or knowledge in a particular competency to be hired. 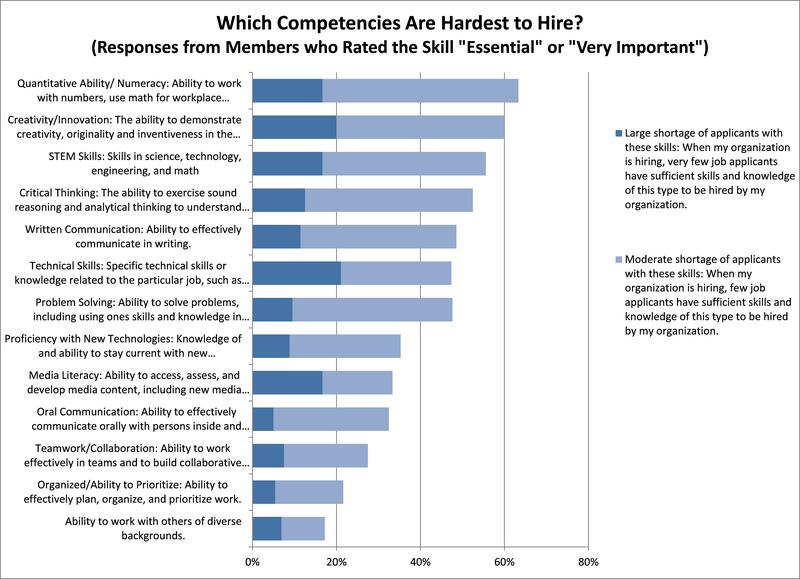 Chart 2 shows which essential or important competencies our Members’ organizations had difficulty hiring for. The skills are rank-ordered in terms of the percentage of respondents who said that their organization experienced large or moderate shortages of applicants with sufficient skills and knowledge in these areas (which they had previously listed as essential or important). Perhaps surprisingly, the ranking of the competencies in Chart 2 is generally reversed compared to Chart 1. Quantitative skills and creativity, which ranked towards the middle of on-the-job-importance in Chart 1, top the hard-to-hire list, ranking first and second. STEM skills, which ranked near the bottom in terms of importance for most jobs in Chart 1, comes in third on the hard-to-hire list. 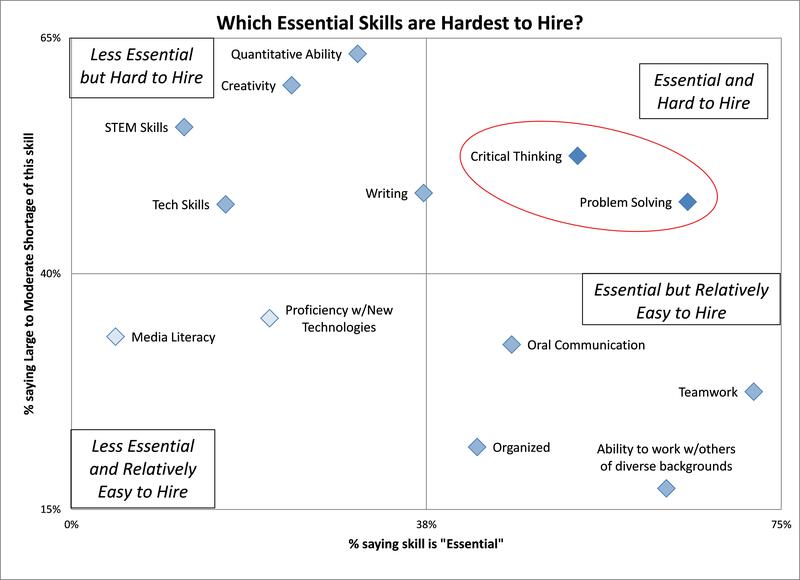 In most organizations, quantitative skills, creativity, and STEM skills apparently are not essential for every position (see Chart 1). But the individuals who have these skills are apparently in scarcer supply. So, for the jobs that require these skills, individuals who have them can demand a higher premium in the labor market. Which is exactly what we see in wage data. Getting back to advice for any (hypothetical) children one might have: they’ll need the ability to work in teams, solve problems, and work with people of diverse backgrounds in almost any job they get. But if they want to distinguish themselves from the crowd and face less competition (albeit for a narrower set of jobs), then quantitative skills, STEM skills, and creativity are the competencies they should focus on developing. What does this all add up to? It seems that one of the reasons the skills and training debate becomes confused is that we’re talking about two different aspects of job skills. One dimension is the skills that will be widely needed in most jobs in the future (and today! ), and the other is the skills that are in short supply. The competencies that we should worry about most from the perspective of national education policy are the competencies that are both essential to most jobs and are in short supply (i.e., hard to hire). Chart 3 lays out all the competencies in the survey along both dimensions. Analyzed in this way, critical thinking (“the ability to exercise sound reasoning and analytical thinking to understand and solve work place problems”) and problem solving (“the ability to solve problems using one’s skills and knowledge in real-world settings to solve problems that have not been encountered before”) stand out as the skills that are deemed essential to most jobs and are in relatively short supply. These perhaps are the competencies that our educational system and institutions should be focusing their improvement efforts on. CED will continue to work on competency-based hiring and education. Stay tuned for additional survey results at CED’s Fall Policy Conference and as we move forward with a pilot of competency-based hiring as part of our Essential Competencies initiative. As Vice President for Education Research, Monica Herk oversees research to support policy statements in which CED’s business leader Members contribute to the improvement of education.